Each time we go to a trade show, our employees are inundated with questions about our printers and materials. We thought it best to compile some of the most-asked questions about our metal solution and package them up neatly in a blog post. So, for anyone with a burning question about our metal materials, the process involved, and the strength of the final parts, this is for you. Are supports needed for the sintering process? Do parts need to be printed, washed, and sintered in the same orientation? 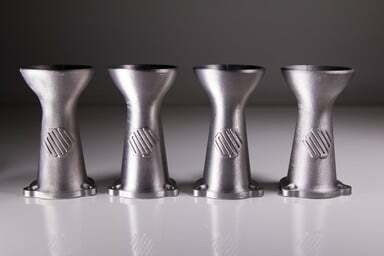 Markforged’s Eiger software automatically determines where supports are needed. In general, any unsupported surfaces parallel to the print bed requires support material to prevent slumping during printing and sintering. 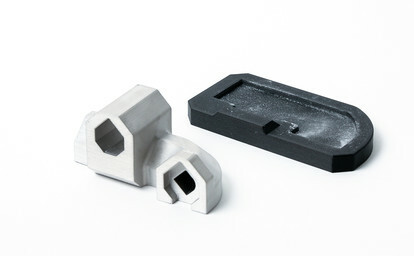 Metal X supports are designed to be easily separated from your part after sintering. 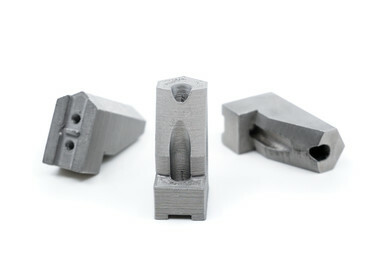 The Metal X has a two nozzle print system — one for the metal material, and one for the support release layer. 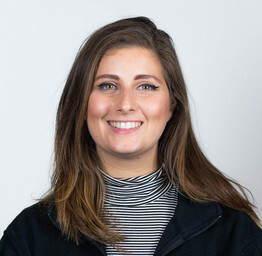 The materials are printed together — supports out of metal, thin release layer of ceramic, and then the part out of metal. 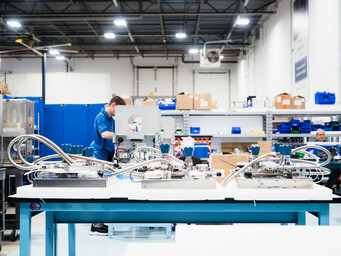 During the printing process, all material is bound with plastic. Sintering removes the binder from both the metal and the ceramic, leaving you with the ceramic powder between the supports and part. Simple supports can be removed by hand, however some complex supports might require tools or a tap with a mallet to remove. As supports are critical to both printing and sintering, it’s best to print, wash, and sinter the parts in the same orientation. 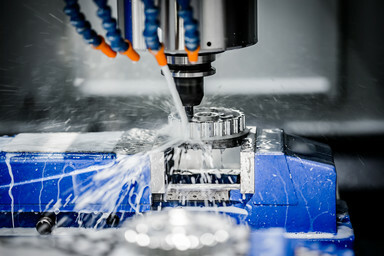 When a metal part prints, it prints on a raft and (if need be) support structures. The raft provides a good base for the part, preventing warping and ensuring standard shrinking in the Sinter. The only reason you might want to change the orientation for washing is if the part is bowl-shaped. When upside down, the solvent permeates up into the bowl, resulting in a faster wash time. However, you do want to sinter parts in the same orientation as they were printed. When the binder melts away, there is a period during which the part is effectively a sandcastle. The supports are critical to keeping overhang features from falling over during this step of the sintering process. What is the maximum part size L x W x H? 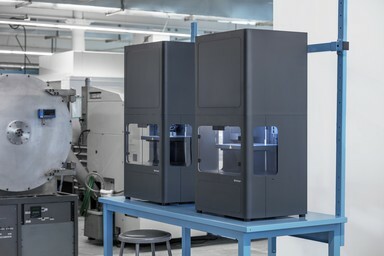 Markforged Metal X customers can print parts up to the maximum size limits of the build envelope, which is 250 x 220 x 200 mm or 9.8 x 8.6 x 7.9 in. However, as parts shrink during sintering, your printed part will be slightly larger than the final part. Part scaling is automatically done in Eiger. The Sinter-1 size limit is roughly 235 mm (9.25") x 68.3 mm (2.69") x 69.3 mm (2.73"). Larger parts that cannot fit inside this sinter volume can be sintered externally. ‍Does Eiger give you an estimate for wash time? Yes, Markforged’s Eiger software will provide the correct wash and sinter time to complete your part. Can we put different parts in the furnace? Yes, you can fit as many parts as you can in the furnace. However, parts should not be stacked or nested as they can melt together. The parts must also be made of the same material. ‍How strong are parts printed on the Metal X? 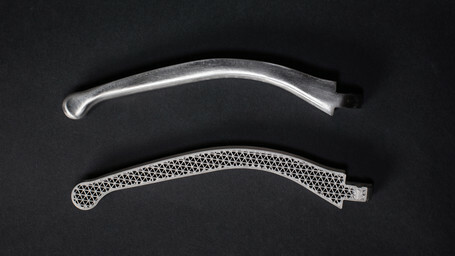 Parts printed on the Metal X vary in strength depending on the material. We suggest looking at our 17-4 PH Stainless Steel and H13 Tool Steel data sheets. Have another question about metal? Comment on our Facebook post to let us know! Check out our Metal X page to get to know our printer, its applications, and the compatible materials.